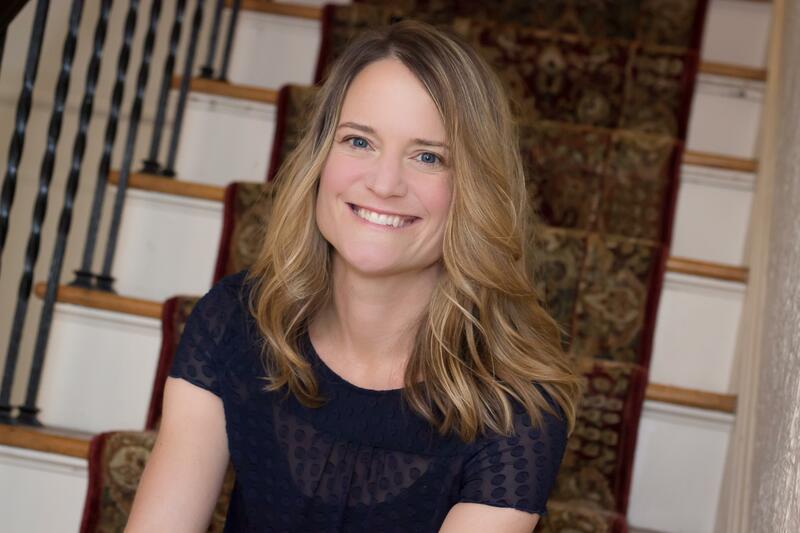 This reading group guide for The Visibles includes an introduction, discussion questions, ideas for enhancing your book club, and a Q&A with author Sara Shepard. The suggested questions are intended to help your reading group find new and interesting angles and topics for your discussion. We hope that these ideas will enrich your conversation and increase your enjoyment of the book. 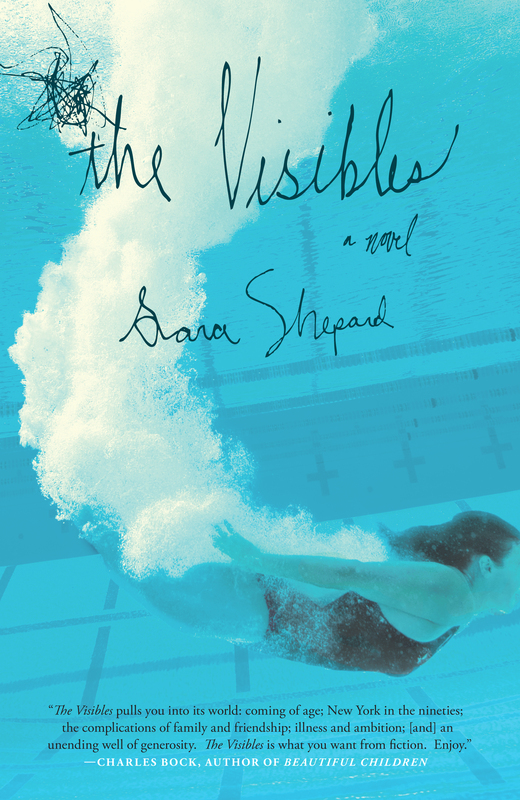 The Visibles by Sara Shepard is told through the thoughts of one Summer Davis, a brave and bright young woman who places her life on hold to take care of several ailing family members. After the disappearance of her mother, Summer shoulders the challenge of helping her father through his subsequent decline into mental illness. Summer has an interest in science that she inherits from her father and goes into genetics--leading her to question what else of her parents she might have inherited, and whether real happiness is something she can ever achieve. Throughout her life, and the book, Summer is influenced by such personages as a childhood friend, Claire, whose absence makes as much of an impression on Summer as her presence, and a great-aunt, Stella, who personifies with immense charm the best as well as the most terrifying aspects of Summer’s father’s rural upbringing. The Visibles is a book about dealing with loss and living in the past, how what happens to you as a child never really leaves you, and no matter how old you get you can learn to live, change, and recover. And that life, not unlike the code in our DNA, is determined not by what it is but by what you make of it. 1. When they are growing up, how are Summer and Claire similar and different? When they meet years later, how does Summer interpret the changes that each has gone through? Are they more alike later in life? What in Summer draws her to reconnect with Claire? 2. Periodically throughout the book, another voice enters the story. What effect did this have on your reading? When did you realize who the voice was and why it was important? 3. How does the author use the setting—time and place—to frame the story? How do current events throughout the story—the first World Trade Center bombing, the O.J. Simpson trial, 9/11—shape its course, if at all? What effect do the time lapses throughout the story have? 4. The lower Manhattan skyline appears throughout the novel, both for its parts—the tower Meredith worked in, the nicknames Summer and Claire gave certain buildings—and its whole, especially after 9/11. What do you think the skyline represents to Summer? Does its symbolism change as the novel progresses? 5. In the beginning of the novel, Summer’s brother, Steven, barely reacts to their mother’s disappearance. The next time we meet him, he is deeply and perhaps irrationally motivated by the first World Trade bombing. Then he is indifferent and unavailable, but by the end of the book, he has changed again. Has he adjusted better than Summer has by the novel’s close? What drives his changes and behavior throughout the years? 6. What was the effect of reading the storyline through Summer’s eyes? How would it have been different if her father had done all of the narrating? Or Stella? 7. What keeps Summer from feeling completely comfortable with Philip? 8. Has Summer been shaped more by her genes or by her past experiences? Why do you feel that way? In this story, and in life, how important are accidents, genetic and otherwise, to the shaping of a person? 9. “Faith, I thought. Yet again, I turned everything over to faith... My father would eventually practice medicine again. My mother would wash up as something plain and somewhat pitiful, maybe a telemarketer or sales clerk, her drama career hitting a dead-end. We would get through this, and he’d come out a hero” (p. 139). Do you believe that Summer has faith? How does she express her faith? Does her faith change throughout the story? 10. Speaking of Alex, Summer says, “How could he love me? What had I done that was so incredible? I wanted to say that I loved him, too, but I knew I didn’t mean it, so the words wouldn’t come. I wasn’t sure if I was equipped to love anyone” (p. 188). Do you believe that Summer is not “equipped” to love during the course of the book? Why or why not? Is Summer capable of love by the end of the book? If so, what in her changed? 11. Throughout the story several characters— her mother, grandmother, and Stella—leave Summer’s life. How does she react to each? How does each loss change the way that she thinks? How does it affect the people around her? 12. When did you discover Summer’s father’s secret? How did you react? Did you expect it? Do secrets have the capability to shape our lives more than truth? How and why? 13. “I am still me, I told you. We are the worst of ourselves and also the best. They can try and shock it out of you, but it doesn’t really go away, not entirely. And that’s okay” (p. 253). What does the narrator of this section mean by this? Do you believe it to be true? Why or why not? 14. Whose story is this? Is it Summer’s story or is it her father’s? Who changes the most from the beginning to the end? 15. The use of ECT was controversial even in its heyday in the 1940s and 1950s. Earlier than that depression itself was not seen as a disease. How do you think the timing of his illness affected Richard Davis? Do you think he would be treated similarly today? 16. Stella investigates alternative medicine at the end of her life. Are there controversial medical practices today that you believe are worthwhile? 1. There are many websites where you can learn more about your own family history. Check out one such as www.genealogy.com/, www.genealogy.org/, www.familysearch.org/, www.ancestry.com/, or www.archives.gov/genealogy/ and discuss your roots with your book club. 2. To visit or learn more about vacations and artists communities in Vermont visit: http://www.vermontvacation.com/. 3. Memory retrieval and the passing along of family history are central to the book. What is your earliest memory? How did your family pass down family history? 4. There has been much debate about genetics influencing personality and lifestyle choices, especially things like alcoholism and homosexuality. How much do you think genetics influence who we are? Who much do you think experience does? 1. How strongly do you identify with each of your main characters? How are you different? Like Summer, I’ve always been fascinated with science, especially genetics, and for a while I was certain genetic research was going to be my career. I’m also like Summer in that I would rather things be orderly and explained—I like a sense of control, which is pretty much what Summer struggles with the entire novel. Like Richard, I often live in my head, particularly in my memories. And Stella is a pure amalgam of my mom, my aunts, and my grandfather, Charles Vent. I heard a combination of their voices whenever I wrote her dialogue. It was a joy to write Stella’s character—I had thirty years of material to work with. As for how I’m different, I’m not sure I’m as sour and closed-off as Summer sometimes is. It’s a defense mechanism for her, of course, but I’m unfortunately too much of a people-pleaser, and am more concerned with making everyone comfortable. 2. Why did you set the book in the place and time that you did? Do you have a special link to rural Pennsylvania or Brooklyn? I was a teenager and in my early twenties in the 1990s, struggling with many of the same problems as Summer—learning to decipher my emotions, trying to find a balance between choosing my own course and doing what was expected of me, and, essentially, puzzling over what makes the people closest to me tick. As for the settings, I grew up in the Philadelphia suburbs, went to college in New York, and ended up moving to Brooklyn not long after, which is where that setting in the book comes from. As for Cobalt, I based it on the small town in Western Pennsylvania both my parents are from. Like the fictitious Cobalt, it was idyllic and industry-driven when they were young, but it has since seen quite a bit of decline. We frequently visited there when I was young, but it was only when I got a little older that I became very curious what the little town was all about, what it might have been like to grow up there and how it might have shaped my parents’ young lives. I want to make clear that I owe a great deal of gratitude to the people and the town that inspired Cobalt—many people I love dearly are still there, and I wouldn’t trade my experiences there for anything. It’s served as a rich backdrop in my life, and without that, this book probably wouldn’t exist. 3. Your novel is tremendously engaging and can easily be read in one sitting. However, Summer and her father come a long way and go through enormous personal changes over the course of the story. How did you develop the book and over what amount of time did you write it? I wrote the middle section first, where Summer’s father is going through the worst of his depression. Originally, it was a flashback from a very different book, one where Summer is married with two children and coping with a different set of problems. I kept struggling with the book from that perspective, and after enough time, I realized that it wasn’t the story I wanted to tell. So I scrapped what I’d done and started over at the beginning—when Summer’s mother leaves—and went from there. It took about a year to write the first draft of The Visibles in this form, and then another year to edit and refine it. I didn’t outline the book, just followed it along. I took quite a few turns that way, but I think it worked out for the best. I tend to be a very long-winded at times, although I think it helps me to get wholly into each character, even if I have to cut it back later. 4. This is your first book written for an adult audience. How was writing this novel a different experience from writing for younger audiences? What was harder about the process? What was easier? For me, writing for younger audiences and writing for adults uses two different halves of my brain. It’s very difficult for me to work on both genres at the same time—I have to finish a YA novel before even reading a draft of something I’m working on for adults, and vice versa. Strangely, I also find it easier to read YA books while writing adult fiction, and reading adult novels while working on YA. I guess that’s so it will be less likely for the author’s voice I’m reading to get stuck in my head. Something far simpler about writing for younger audiences—especially a series—is that after a while, a regular structure emerges. In each YA book I’ve written, I have a general idea what needs to happen when and build the plot to get it there. In writing The Visibles, I had far more choices. Maybe too many. The other thing that differs when writing for adults is that I was able to treat the narrative in a more mature and unconventional way than I could with a book for younger audiences. Even in the sections where Summer is quite young, I felt like I could dig a little deeper, delve into concepts that were a little more abstract. But to succeed at either genre, a writer needs a very distinct voice and quite a bit of thought, and I certainly don’t mean to discount either type of book. I’m extremely lucky to have had the opportunity to do both. It’s as though my whole head has gotten vigorous exercise over the past few years. 5. Do you see your book as more of a mystery or a family story? I suppose I saw it as a family story, that and a story about relationships, a story about New York and Western Pennsylvania, and a story about genetics. But I suppose families are mysteries, aren’t they? One of the first inspirations I had when starting this book was the idea that parents live entire, sweeping, rich and—yes—mysterious lives before ever having children. They love, they disappoint, they triumph, they attempt things and fail, they might even go off the rails a little. They’ve had thousands upon millions of unique experiences that make them precisely who they are…and so much of this isn’t passed on to children, either because parents don’t want to discuss it or kids simply aren’t interested. It’s a shame, really. The mystery Summer uncovers about her father perhaps more dramatic than most, but it doesn’t mean that there aren’t mysteries in all families, everywhere. 6. Much of the book is told, compellingly, from Summer’s point of view, but her father’s voice is prominent as well. As a female writer, did you find it difficult to capture his voice? Whose point of view did you enjoy writing from most? Did you consider other points of view? I’ve written short stories from male perspectives before, and I’ve never had a problem with it as long as I’ve understood the character’s emotions and motivations. And truthfully, Richard’s voice is a balance between playful and emotional, quite similar to many of the voices in my own family, so it wasn’t too difficult to write from his vantage point. I enjoyed writing Summer and Richard equally. I didn’t consider other voices for this book, but as I mentioned, this novel started out from Summer’s perspective as a much older woman, haunted by her father’s illness from a distance. 7. Who is your ideal reader for this book? Were you writing to a specific audience? What do you hope they take away from your novel? The various elements of The Visibles are so varied that I never really had an ideal audience in mind. But before the novel was published, and because many aspects of this novel incorporate intimate details of my family’s life—almost inside jokes, if you will—the original audience was close family members. I’m guessing that many writers do this—they use snippets from their own lives and family lore without quite realizing it. Beyond that, I believe it’s for anyone who is interested in a good story, quirky characters, science, illness, or love. That just about covers everyone, doesn’t it? 8. To what other writers would you compare your writing style? Who do you enjoy reading? What books influenced you to become a writer? It’s difficult for me to read my writing objectively and try to compare it to other writers’ work, especially writers I admire. I primarily read fiction, and I read a good many wonderful books while writing The Visibles. A few that inspired me for their voice, setting, plot, or simply for that fantastic, magical, unclassifiable thing fiction does included Underworld, by Don DeLillo, Norwegian Wood, by Haruki Murakami, The Edible Woman, by Margaret Atwood, American Pastoral, by Philip Roth, and Chilly Scenes of Winter, by Ann Beattie. As for books that influenced me to be an author, who knows? Beverly Cleary? Roald Dahl? I wrote stories on a big drawing pad at the coffee table in my living room when I was eight, so it’s hard to say what book had really started me off. I’ll say one thing, though: when my teachers handed out summer reading lists at the end of the school year, I never groaned and put it off. I was always excited. 9. Do you have plans for your next book? Yes! I’ve finished the first draft of it. It’s told from three perspectives—an woman in her fifties, her thirty-year-old son, and the son’s wife. Another family member is accused of a shadowy crime, but no one is sure if he did it or if he didn’t. The book explores how far each family member feels they should go to protect him. The characters also question their own motives—how they make judgments about things without truly considering them—and also their own lives—how certain elements haven’t panned out the way they’d planned. The book doesn’t have a title yet, though. I find coming up with a title the hardest part of writing a novel.